The PPI Café was piloted as a new public involvement methodology at the 2018 Imperial Festival and is now being tested in West London. Its aim was two-fold: firstly, to give the public a ‘taste’ of involvement as they contribute to real-life research projects; and secondly, to experiment with creative involvement methodologies to reach a wider and more diverse public. Although public involvement is not an approach commonly used in Asia, we believe that its orientation can be equally useful in Singapore when adapted to its culture and practices. The team in London chose the café as an environment where people would feel comfortable to discuss research openly. In Singapore, hawkers are much more accessible to the wider public than cafés. Hawker centres are a one-stop destination with a variety of high-quality and hygienic food at reasonable prices. They are favourite spots for local food, typically found in city centres, public housing estates or transport hubs. For these reasons, we decided to adapt the PPI Café methodology to a Public Involvement Hawker. We partnered with a local study and, together, set three questions (refer to cue cards below) that the researchers wanted public input on. These questions were printed on cards so that members of the public could read them if needed. We also had a card giving an overview of the research study. Our team consisted of myself, an epidemiologist from the study, two public involvement practitioners from PERC with experience of the PPI Café, and a member of the public. In a multi-ethnic context like Singapore (four official languages and several dialects), it was important to cover as many of those languages as possible within the team. The researcher could speak Indonesian and Malay, and the public member public involved could speak Mandarin and Chinese dialects. We believe it was also a positive experience for the public. We were surprised by how most people were receptive and keen to discuss the project with us. Singaporeans are often zealous in the protection of their privacy and are reluctant to share their opinions. However, those we interacted with were willing to talk at length about the issues, curious about the research, and seemed to enjoy the experience. The public suggested that we sit with them in their own space, rather than the one we provided. Many seemed surprised to be asked for their ideas and opinions, and some suggested doing it individually rather than with other members of the public. In Singapore, a commonly used term is kiasu, a Hokkien (Chinese dialect) term meaning ‘afraid to lose’. This illustrates the anxiety some of them feel when not achieving in front of others, which could result in judgement by others if they give a ‘wrong’ answer. Instead, a one-to-one setting gave them the confidence to speak up. It could also be that it was easier for them to stay in their seats! In group discussions, there is often a dominant voice leading the conversation. This occurred at the event. We noticed that people tended to rely on a senior or more outspoken partner or colleague and agree with their statements. It was important to engage all members of the public in the conversation when more than one was present and take in everyone’s views as right and important. As highlighted in PERC’s blog introducing the PPI Café, it is important to have a scribe to record the conversation. We decided to approach people in pairs, so that one while one person talked, the other could take notes. Many people we spoke to were grateful to have the chance to get to know and contribute to a study led by a local and prestigious university. On the other hand, some members of the public recalled recent experiences of scams with people from companies pretending to be researchers and getting personal information for other purposes. Last July, a cyber-attack on a major health institution led to the personal details of 1.5 million patients being lost . As reported by the media , and attendees at the Public Involvement Hawker, this has had a negative impact on the attitude and trust held by the public towards research. Using branded-Imperial badges and t-shirts helped the public to notice us and gave us credibility when approaching them. We noted that some of the questions we presented were too theoretical, such as those on data privacy and ethics, which some people struggled to answer. Although we initially thought that having cards with the questions on would be enough for the public, we realised that having specific examples relevant to the question would be more useful. Those specific situations could have been more interesting for them to discuss and gave them a better idea of the underlying theoretical aspects for each question. Giving more information about the study would enable them to be more capable of expressing a viewpoint. It is widely discussed that public involvement in research needs to be more inclusive. While the Public Involvement Hawker is successful at taking research into the community (as it was one of the goals of the PPI Café), it is also clear that you do not get the benefits of building a longer-term relationship with members of the public. The Public Involvement Hawker, and similarly the PPI Café, are perhaps best conceived as a starting point to reach certain communities, for instance non-English speaking people and older people. What is needed at a wider scale? 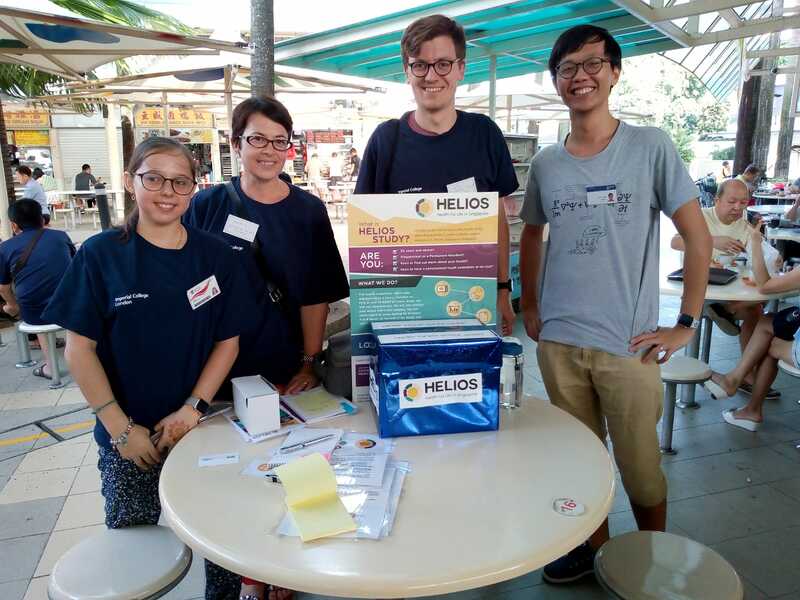 Some members of the public expressed concern about the lack of awareness of research by Singaporeans, highlighting the gap between academics and members of the public. Moreover, research works are seldom reported in the media. Members of the public noted that more education is needed for them to see the value of research, and how studies like the one we discussed could ‘help the collective good and improve their society’. This would then encourage them to participate and gain enough confidence to be involved. We should consider the ethics of presenting the with public technical, challenging problems and expecting them to have the answers to these. Not only can this be unfair and frustrating for those involved, but the responses gathered risked being used to fit pre-existing agendas from researchers. Some members of the public expressed discomfort answering questions that they felt were too technical without enough information, such as those on data protection. While some of these answers may appear to be deferential, there is a certain logic to someone who is not a data protection expert not wishing to answer such a question. 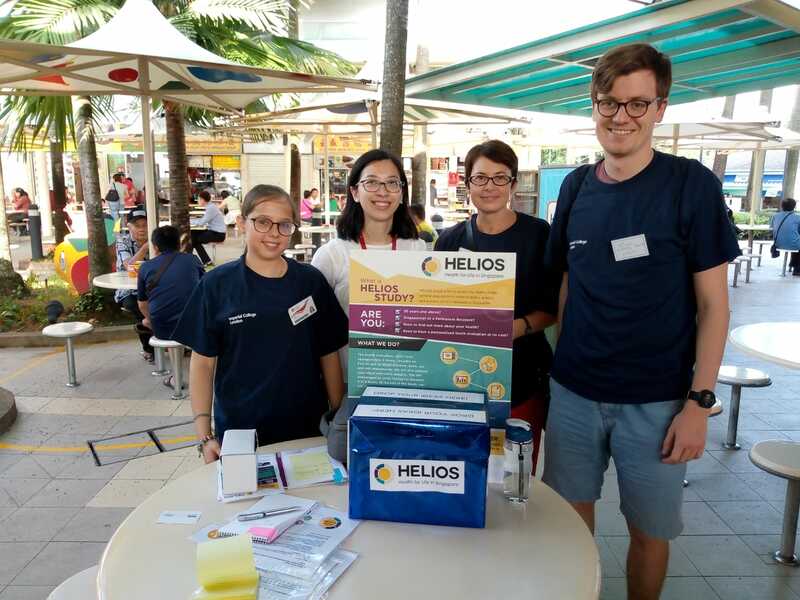 The study team considered that the Public Involvement Hawker was a valuable exercise that could help their research move forward and better reflect and address the needs and concerns of the Singaporean public. Therefore, more Public Involvement Hawkers will be held in April 2019 in other parts of Singapore to reach other groups that were not included this time. This includes, for example, the Malay population or the working community in the city area.